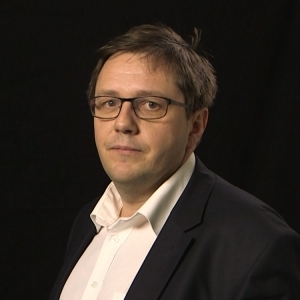 Axel MARX is deputy-director of the Leuven Centre for Global Governance Studies at the University of Leuven. He studied in Leuven, Hull and Cambridge and holds a PhD from the University of Leuven. As deputy-director of the Centre he manages the day-to-day activities of the Centre and several large-scale projects including inter alia the Policy Research Centre for the Flemish Government on Foreign Affairs, International Business and International Cooperation and a large-scale European FP7-project on human rights (19-partner project). His research mainly focuses on global governance, certification, sustainability standards, non-state market regulation, human rights, trade governance, good governance, international cooperation, international development, research methodology, comparative case methods and qualitative comparative analysis. His international academic publications (over 30) have appeared inter alia in European Political Science Review, Regulation and Governance, Political Research Quarterly, Research in Sociology of Organizations, Journal of Socio-Economics, Journal of Business Research, Globalizations and Sociological Methodology. He recently co-edited (with Miet Maertens, Jo Swinnen and Jan Wouters) a book on Global Governance and Private Standards (Edward Elgar). As an expert to policy-makers he has contributed to over 15 reports for inter alia United Nations Industrial Development Organization (bi-annual industrial development report and 3 Networks for Prosperity reports), European Commission, European Parliament, Committee of the Regions, Belgian Federal Government and Belgian Flemish Government.